EK® is announcing two new RGB versions of the most popular CPU water block on the market! 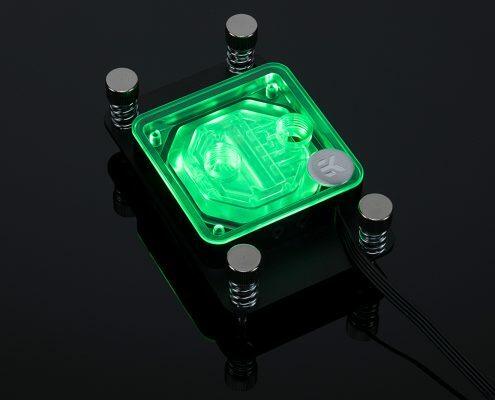 From the time it was first introduced in 2012, nothing has changed about the design of the EK-Supremacy EVO CPU water block. The block became a timeless piece that is recognized both for its distinctive looks and performance. 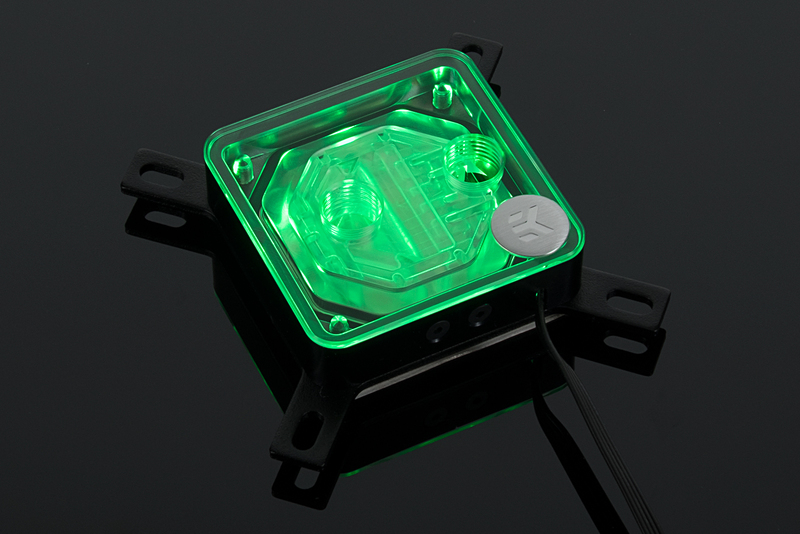 While its performance is still not endangered, it kind of needed a small facelift. 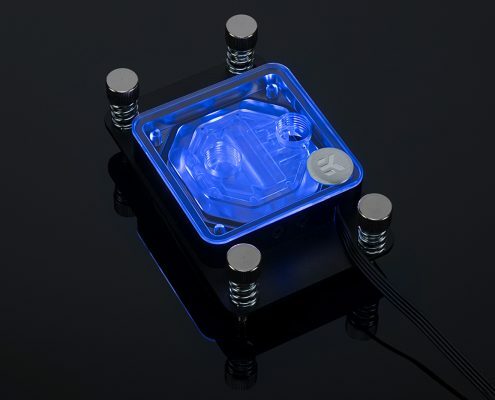 By popular demand of the market, EK Water Blocks, the Slovenia-based premium computer liquid cooling gear manufacturer is releasing two new RGB versions of the EK-Supremacy EVO CPU water block. 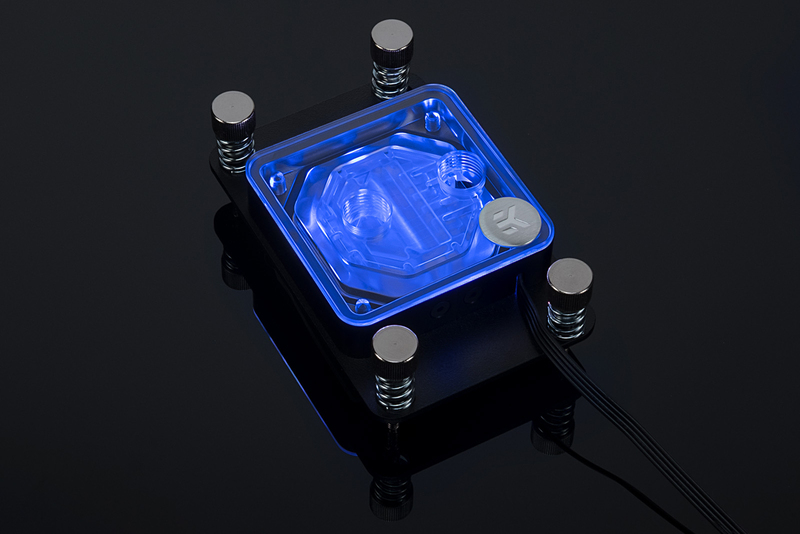 This is a high-end, highly adaptable CPU water block, just as all the other EK-Supremacy EVO models so far. 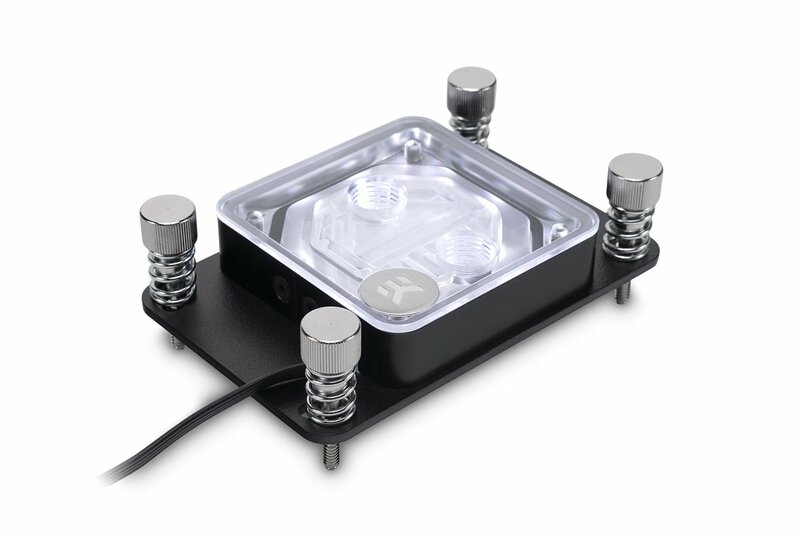 By combining jet plates and jet inserts, the cooling engine enables the water block to be fine-tuned for all mainstream Intel and AMD sockets for maximum performance. 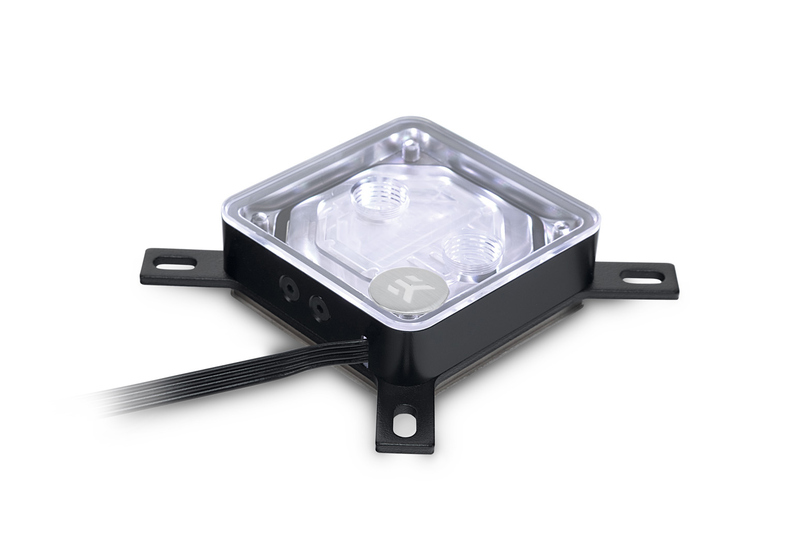 A high-flow design with low hydraulic restriction also allows this product to be used in setups using weaker water pumps or lower pump speed for added silent operation. The EK-Supremacy EVO RGB water blocks come with a precisely machined copper base (sometimes referred to as the cold plate) with a dense micro-fin structure that counts 52 grooves with a spacing of 0.25mm apart. The purest copper available on the market is used which is treated with nickel electroplating and further polished to an absolute mirror finish. The top is CNC machined out of high-quality acrylic glass and the newly added frame features a subtle black brushed aluminum look. 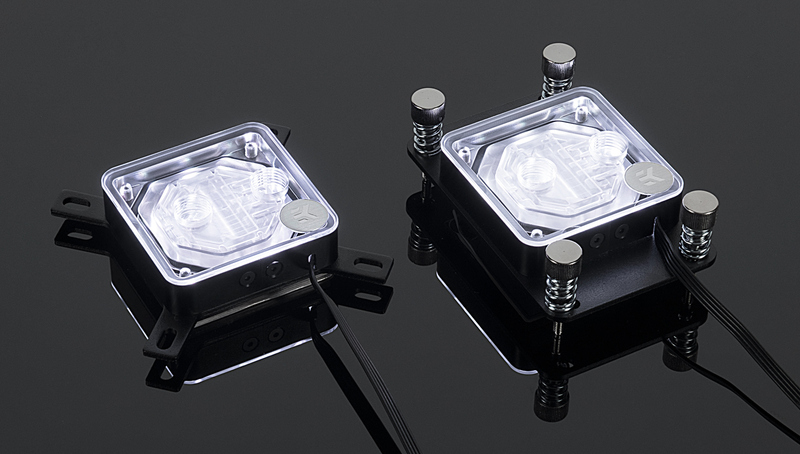 Both water blocks are compatible with popular RGB sync technologies from all major motherboard manufacturers as it features a classic 4-pin 12V RGB LED strip. 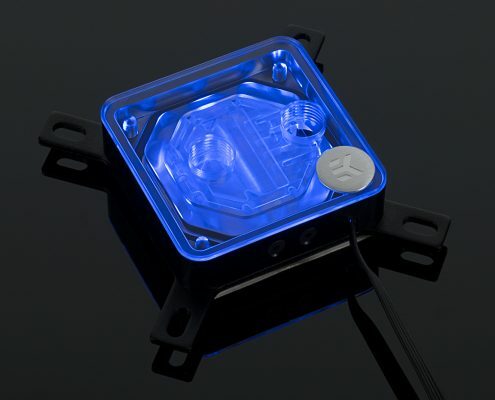 If you are not sure about picking compatible parts for your liquid cooling loop, please refer to the EK® Custom Loop Configurator to help you pick cross compatible components. 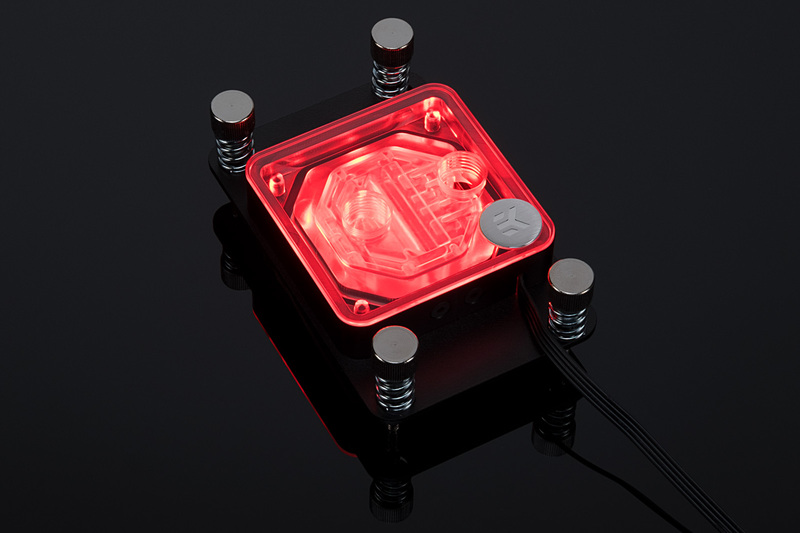 If you need help with using the EK® Custom Loop Configurator, please read THIS article.